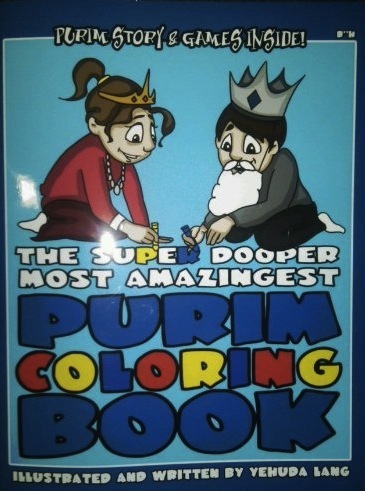 Expert Review of The Super Dooper Most Amazingest Purim Coloring Book by Yehuda Lang, one of our picks of the top Jewish books for kids! Sometimes less is more. We love books that keep kids active. The Super Dooper book consists of 32 pages of black and white drawings with the Purim storyline, FAQs and games - from a kid's point-of-view, this is a blank slate, waiting for his or her crayon or marker masterstrokes. Purim is all about being silly and serious at the same time..... Tis the season for the world's funniest joke. Goldy says: "Kids who love to color will love this book!"